Home Tags Posts tagged with "sport activity"
Vladimir Putin’s spokesman has admitted that Russia’s president is suffering from an injury, but denied media reports that it is affecting his work. Dmitry Peskov said the president had “pulled a muscle”, adding that it was sports-related. 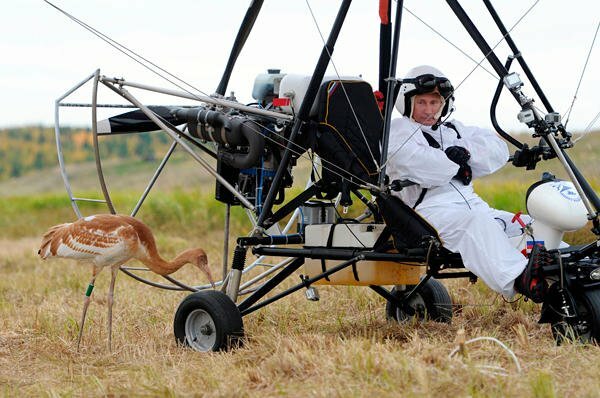 He dismissed claims that the injury had got worse after Vladimir Putin’s flight last month with Siberian cranes. Vladimir Putin, 60, has recently postponed a series of foreign trips, and media reports suggested he had a back injury. And in a recent TV documentary made for his birthday, the Russian leader was seen limping. On Thursday, Dmitry Peskov told Russia’s Kommersant FM radio station that his boss indeed had “an old injury”. “It’s a common sports injury – Vladimir Putin pulled a muscle,” the spokesman said, without adding any details about where the injury was. The speculation in Russia’s media started last week after Vladimir Putin had put off a summit with other leaders of counties from the former Soviet Union. He has also postponed trips to Bulgaria and Turkey. But Dmitry Peskov said that the dates for those visits “have not been fixed”. Kremlin officials earlier denied that the real reason for the much-curtailed schedule is that the president is suffering from a bad back and may need an operation. Dmitry Peskov also said the president had hardly left his country house outside Moscow in the past two weeks because he did not like his convoy causing traffic jams in central Moscow. Vladimir Putin – a black belt in judo – has over the years portrayed himself as a macho man. Russia’s state-run TV has shown videos of him tagging whales, swimming in freezing waters, horse-riding bare-chested and even saving a TV crew from a tiger.